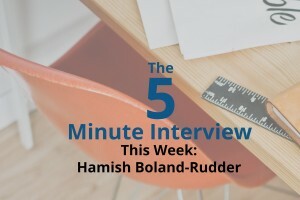 For this week’s 5-minute interview, I sat down with Hamish Boland-Rudder, the Online Editor for the International Consortium of Investigative Journalists (ICIJ). Hamish and I got to chat at GraphConnect San Francisco. Q: Can you tell me about how you use Neo4j at the ICIJ? Hamish: Our main application for Neo4j at the moment is we use Linkurious to assist in huge international investigations, usually into the world of offshore finance. 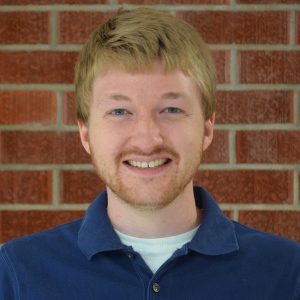 Q: Why did you guys choose Neo4j versus other data solutions? Hamish: Almost embarrassingly, we came to Linkurious first looking for a lightweight, easy-to-deploy, off-the-shelf solution that would help us visualize the networks and relationships that we were finding in our data that was otherwise just sitting in Excel spreadsheets and maybe an SQL database. When we found Linkurious, at the same time we found Neo4j, and we realized it was kind of a match made in heaven for us. The Linkurious graph visualization of these networks was perfect for journalists because it was intuitive. It was something they could understand. It was an easy enough deployment that we could do it all with only one developer. At the same time, Neo4j was a significantly better database than the SQL relational databases that we had been using. It was both faster and much simpler at querying which helped our more advanced data users access their data a lot quicker. Q: What would you say are the most interesting results you’ve seen from using Neo4j and Linkurious? Beyond the whole Swiss Leaks story, what were some of your most interesting results? Hamish: For a non-graph person, the most interesting thing that I think of is investigating the relationships and being able to see them. I think that most people with a really basic understanding of data know about and can understand the concept of nodes, but the idea that we can also introduce the varying levels of relationships between the nodes really informs the reporting a lot better. It’s not just saying that person A is connected to account A. It’s being able to say that person A is the attorney for account A and person B is the beneficial owner of account A. Really spelling out those relationships takes a lot of guesswork – and a lot of room for error – out of some of the reporting that we’re doing. So for me that’s kind of one of the more fascinating parts of it. Q: If you could start over with Neo4j and Linkurious knowing everything that you know now, what would you do different? Hamish: Knowing everything that we know now, I think we’d use it a whole lot earlier. Our earliest foray was with a simulator graph database using SQL. After that, with the Swiss Leaks investigation, we tinkered with Linkurious at the start and really got going with it towards the end of the investigation. With our current investigation, one of the biggest lessons we’ve learned is to get that happening right at the start. Linkurious is such a valuable reporting tool that the earlier we pour our resources into setting it up and making it work, the better. More people will use it and the better the finished product will be. Hamish: It’s been a fantastic conference actually, and it’s been a great opportunity for a non-data person like myself to connect with people in a really accessible way. A huge thank you to Neo4j for having me and putting up with me at this otherwise highly advanced event. Want to share about your Neo4j project in a future 5-Minute Interview? Drop us a line at content@neotechnology.com. Start using Neo4j to detect and deter fraud at your organization: Download this white paper, Fraud Detection: Discovering Connections with Graph Databases, to learn more.